Who says skiiers and snowboards need to stay between the lines? When it comes to skiing these days, everyone seems to be heading for the hills – literally. Rising interest in backcountry ski touring driven by increasing awareness and improved equipment has sparked unprecedented attention on what lies beyond resort boundary ropes. 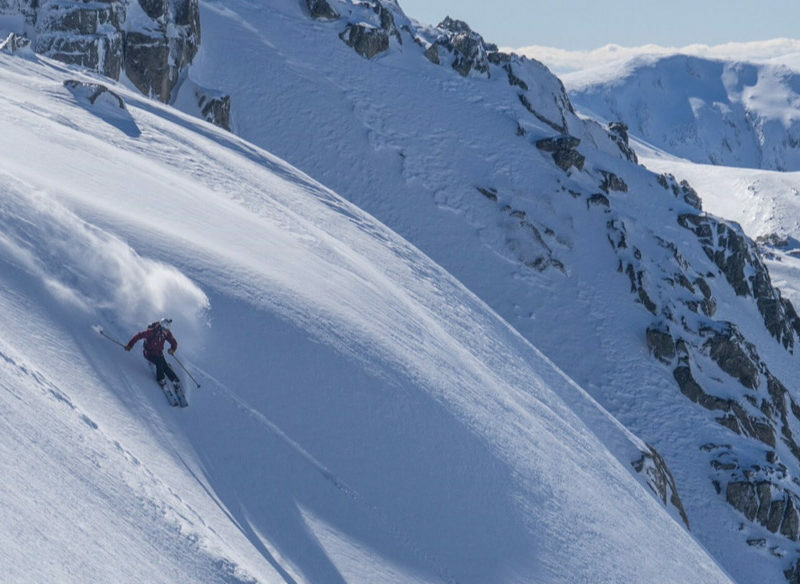 New this winter season, Thredbo is offering six tours for skiers and snowboarders who want to experience backcountry ski touring – and the main customers are those who have never set foot beyond the resort. For the uninitiated, backcountry touring involves using ski or snowboard equipment for both walking uphill and riding down. Skiers use touring bindings that allow the heels of their ski boots to release, and stick ‘skins’ on their ski bases that grip on the snow and let them walk uphill. There are also wider pattern based skis now that make it easier to travel uphill more simply just like XC skiers. Before skiing the skins are removed, heels locked in, and off they go downhill. Snowboarders use split boards with a similar set up or snowshoes to climb before descending. Tourers must also stay safe. Among hard fast rules are taking enough food and water for the trip, and awareness of risk factors and weather forecasts: clear days can turn to blizzard white-outs quickly. “Safety is paramount,” Jake says. Advances in boots and bindings are a major reason backcountry ski touring touring is now so in fashion. New “cross-over” gear like Kingpin bindings and Lupo hybrid boots have made skiing and snowboarding both in and out of resort on one set of equipment safer and easier than ever. Thredbo’s new backcountry tour program in conjunction with North Face gear offers six trips designed by guide Jake Hiscock, ranging from three-hour introduction-to-backcountry trips to full day excursions for stronger skiers and snowboarders. Some travel as far as Australia’s highest point, Mt Kosciusko. Groups are a maximum of four. This ensures first-timers receive adequate attention and intermediate to advanced groups can move fast and efficiently. Great importance is placed on teaching mountain safety from knowing forecasts to avalanche awareness. All backcountry intro courses teach a raft of backcountry skills, from attaching skins and how touring bindings work to avoiding features never encountered in manicured ski resorts.